The previous century was all about modern inventions. Wright brothers invented airplane flights. Henry Ford brought the assembly line to life and created a revolution in car industry. John Baird pioneered the mechanical television. Lazlo and Georg invented ballpoint pens. Thomas Edison gave us light bulb. Edwin Land created Polaroid cameras. The list goes on, but you got the point. With the overwhelming influx of the new inventions getting quickly commercialized, living standards increased tremendously. During that era, things were simply a matter of getting new inventions commercialized on a mass level. People benefited a lot by ‘Location Arbitrage’ whereby they took a technology from one place and commercialized that into another part of the world. Rules were simple. Just bring in something new to a place, or get the same old thing to a new place and you could make money. Since transportation and communication only developed faster in the latter half of the century, those who knew the right places and the right people made money. With a bit of luck and some hard work, one could definitely make it big. In the last decade of the previous century, with the commercialization of the World Wide Web, the paradigm changed. Now, irrespective of your place, you could get to know about technology, products, people, lifestyles and living standards of people in other parts of the world. With the world actually turning into a global village and improved communication and transportation, making location arbitrage was not so simple anymore. 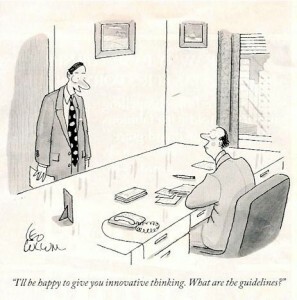 New Paradigm needs New Thinking! With the turn of the century, with the onslaught of all the social media, social bookmarking, web 2.0 and ease of connecting the right people anywhere, many businesses vanished, and many had to change their norms. People watch news on Live Streaming. They read newspapers online. They bank online. They don’t look into the hard copy of Britannica Encyclopedia anymore; they just ‘google’ it. It’s not about brick-and-mortar based structures anymore. People make a living online. For you to make big in this new paradigm, it’s not so much about inventions and some hard work, but more about innovations and a lot of hard work.